Gardening can be frustratingly shrouded in secrecy. Fickle plants make seemingly spontaneous decisions to bloom or bust, seeds sprout magically in the blink of an eye, and deep-rooted mysteries unfold underground and out of sight. Understanding basic botany is like unlocking a horticultural code; fortunately learning a little science can reveal the secrets of the botanical universe and shed some light on what’s really going on in your garden. Practical Botany for Gardeners provides an elegant and accessible introduction to the world of botany. It presents the essentials that every gardener needs to know, connecting explanations of scientific facts with useful gardening tips. Flip to the roots section and you’ll not only learn how different types of roots support a plant but also find that adding fungi to soil aids growth. The pruning section both defines “lateral buds” and explains how far back on a shoot to cut in order to propagate them. The book breaks down key areas and terminology with easy-to-navigate chapters arranged by theme, such as plant types, plant parts, inner workings, and external factors. “Great Botanists” and “Botany in Action” boxes delve deeper into the fascinating byways of plant science. This multifaceted book also includes two hundred botanical illustrations and basic diagrams that hearken to the classic roots of botany. Part handbook, part reference, Practical Botany for Gardeners is a beautifully captivating read. It’s a must for garden lovers and backyard botanists who want to grow and nurture their own plant knowledge. "For anyone who has been horrified by the lopsided life that remains after a bout of pruning, gardening writer Geoff Hodge has some gentle advice: Pruning is both an art and a science. 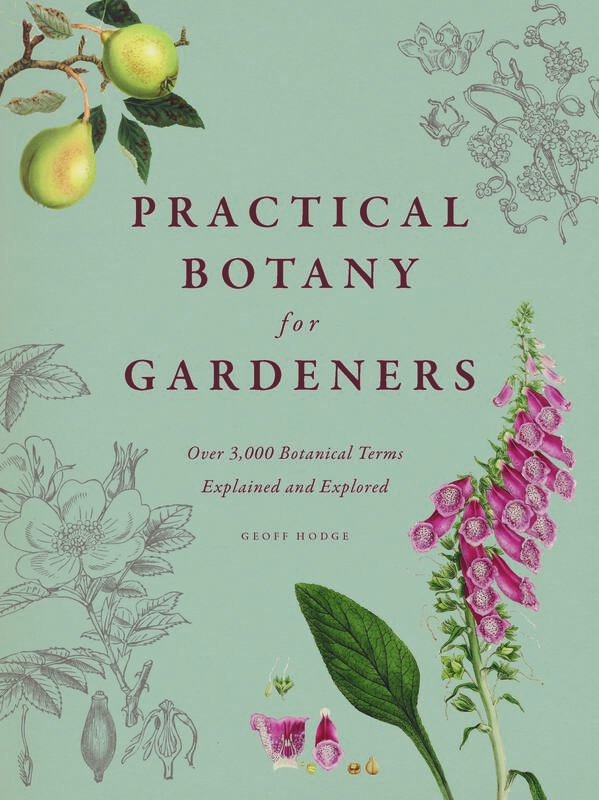 You’ll be better equipped to take on the challenge after reading the chapter on pruning in Practical Botany for Gardeners. . . . Botanical illustrations on almost every page add a decorative touch, and profiles of botanical artists pay tribute to those who make plants come alive on the page." "A gentle guide to the green world . . . organized precisely how a nonbotanist would need it done. Chapters introduce the plant kingdom and how botanists classify it; tackle growth, form and function; and take you inside a plant to understand how its cells, nutrition and hormones actually function. Others explore reproduction, soil, pests and disorders. . . It’s a beautiful book."